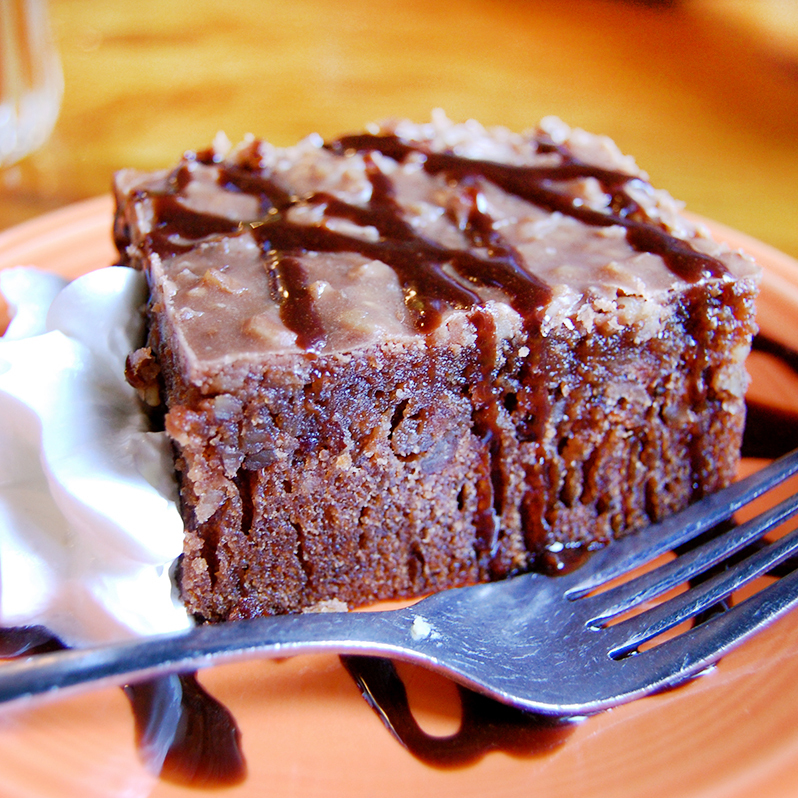 Love the Cola Cake at Jestine’s Kitchen? We don’t blame you. Never knew Cola Cake existed but can’t wait to try it? We understand. Want to send Cola Cake to your favorite friend or relative for their birthday or a special occasion? We’ve got you covered! This rich, chocolatey cake is a decadent dessert that has delighted Charleston residents, visitors from around the world, and world-class chefs like Anthony Bourdain for years. And now you can have it shipped right to your door (or your favorite friend or family member’s door)! Click here to order Cola Cake now.